Let’s play with colors and textures in polymer clay and then make wonderful, water-tight plant holders with the beautiful results! 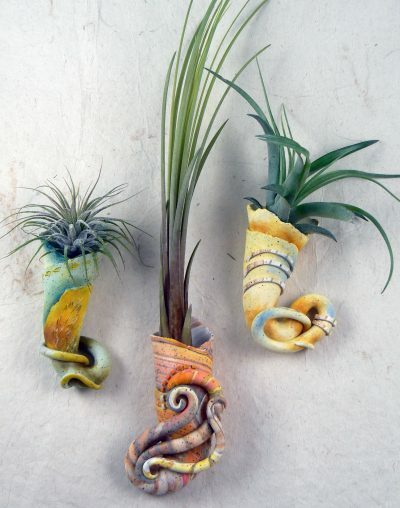 These ‘twisters’ can hold airplants, or water for cut flowers/leaves, or even dirt in which to grow a little houseplant or succulent. How fun is that? Come join us and let’s twist!